Dental emergencies are bound to come up when you have young children. Dr. Denisse Lasanta and our team want to you to be prepared in case you run into a difficult situation. Problems can vary, from minor gum irritation to knocked-out teeth. Take a look at the different possibilities and how you can handle them. Teething pain is as normal as your child’s first set of teeth falling out. 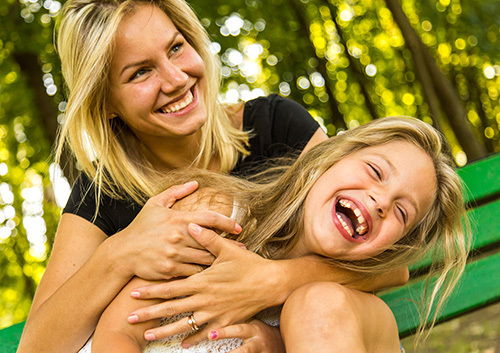 On the other hand, if a baby tooth is knocked out in a forceful accident, make sure you bring him or her into our Lutz office to check that other damage hasn’t occurred in the mouth. On occasion, permanent teeth may grow in before baby teeth have fallen out. This may not cause any discomfort, but Dr. Denisse Lasanta should make sure the teeth are growing in properly. Catching teeth that are coming in incorrectly can prevent issues from arising in adulthood. If bleeding is continuous, rinse your child’s mouth with warm salt water and apply light pressure to the area. If you become concerned about the amount of blood, contact our Lutz office and we will schedule an appointment for your youngster as soon as possible. Depending on what type of dental issue your child is experiencing, you should make sure to treat it quickly and properly. If you have questions or concerns about what you can do to help your son or daughter develop better oral hygiene habits, ask Dr. Denisse Lasanta for tips during your next appointment. More serious periodontal diseases, while relatively uncommon, can affect children and teens as well as adults. Aggressive periodontitis, for example, results in connective and bone tissue loss around the affected teeth, leading to loose teeth and even tooth loss. 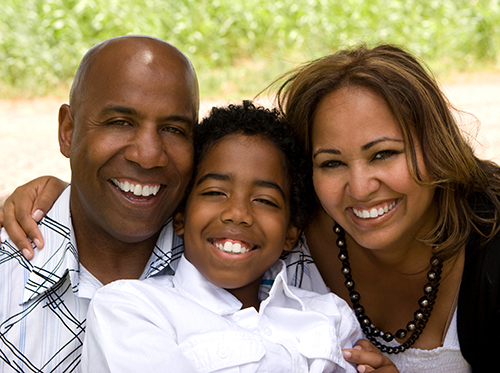 Let Dr. Denisse Lasanta know if you have a family history of gum disease, as that might be a factor in your child’s dental health, and tell us if you have noticed any symptoms of gum disease. The best treatment for childhood gum disease is prevention. Careful brushing and flossing and regular visits to our Lutz office for a professional cleaning will stop gingivitis from developing and from becoming a more serious form of gum disease. We will take care to look for any signs of gum problems, and have suggestions for you if your child is at greater risk for periodontitis. Together, we can encourage gentle and proactive gum care, and check off one more goal accomplished on your child’s path to lifelong dental health! Extracting the third molars does not have any effect on your actual wisdom … and Dr. Denisse Lasanta and our staff are sorry to say that holding on to them can’t make you smarter, either. So if you somehow feel that you became wiser and smarter when your wisdom teeth appeared, chalk it up to age rather than teeth.